Sometimes the best music is built entirely on instinct. Music that doesn’t get caught up trying to fit into typical conventions of time and scale but instead only commits itself to pure human instinct and expression. Free Jazz is a fantastic form of expression due to its spur of the moment nature. When a member of the ensemble is feeling a certain way they immediately release this feeling using their instrument. The other musicians in the ensemble can understand each other and utter their response to the music just released. It is conversational. 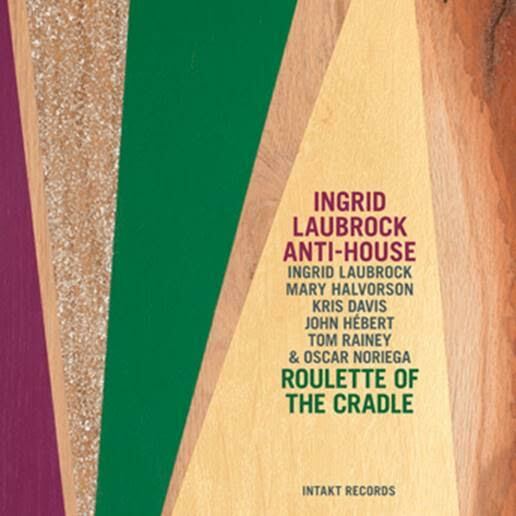 Despite having well thought out compositions played by expert musicians, the music of Ingrid Laubrock’s new release Roulette of the Cradle has achieved a level of conversational execution and instinctual expression typically found only in the live free jazz setting. Ingrid Laubrock’s Antihouse has mastered the explosion. The climactic moments in the piece reach a level of intensity that can only be described as explosive. Kris Davis (piano) is heard smashing the bass notes of the piano while John Hebert (bass) creates sound effects with his wild array of extended technics. Laubrock herself plays these squeaking be-bop lines and all the while Mary Halvorson (guitar) and Tom Rainey (drums) create a chaotic backdrop for the seemingly instrument-destroying display of power. What especially brings out the mastery for the explosive is the constant level of control maintained by the entire ensemble. All of the sound effects are well practiced and intentional. Also, every climactic explosion is short lived and the music is built up so naturally that the primal screeching of the ensemble seems appropriate. Equally important to the explosion is the space left in between. Every moment on the album drives forward and the listener is always locked into a state of anticipation even when the album delves into a more minimalist aesthetic. Ingrid Laubrock has a very advanced sense of melody and her saxophone floats over the top of her ensemble’s perfect nuances of sound. Similar to the explosive sections the quiet sections always maintain a sense of control and purpose. Even when there aren’t a lot of noises being made the music has depth and excitement. The artistic mastery in Roulette of the Cradle is intense and it’s a lot to take in. I would expect most CKUT listeners to respect this album, and the avid jazz fans will probably love every minute of it.